This package course provides designated brokers in Maine with a wide-ranging curriculum of continuing education in laws and practices as well as ways to better serve customers and have a more effective agency. The first of the nine classes is a 3 hour continuing education course for designated brokers in the state of Maine. The primary focus of this course is on building your skill in communication and responsibility, and includes the revised statutes pertinent to real estate, an overview of designated broker duties and responsibilities, and an in-depth look into a plethora of topics that a designated broker encounters on a daily basis. Those topics include property disclosure information, communication, effective problem-solving, advertising, pocket listing, CAN-SPAM Act, company policy on agency relationships, and anti-trust violations. One aspect of a designated broker's responsibility that is sometimes under-emphasized is safety when showing properties. The second class in this package addresses how to identify threats, practical steps to take both before and during a showing that can enhance safety, and what insurance would be helpful if an accident or injury nevertheless occurs. The class offers some general safety considerations, safety strategies that are applicable to most situations, and tried-and-true ways to make it safer for the showing agent, customer, and the customer's property. Ethics must be a central concern for all designated brokers in all dealings and in the behavior of all affiliated persons. An agency (or any representative of that agency) seen as flaunting ethical principles will quickly cause the business to suffer, particularly as word of mouth is amplified online. This class provides a thorough grounding in the principles and concepts of ethics, why ethics matter, and the practical application of ethics through duties to customers, to the agency, to colleagues and staff, and (not least of all) ethical duties to yourself. The class concludes with a review of ethical grey areas and everyday ethical practices in advertising, listings, closing, renters, etc. Real estate transactions involve numerous complex and consequential calculations, where small changes in a single factor can have a major impact on the final numbers. An error or inability to provide effective representation in the mathematical aspects of a real estate transaction can have a major impact. This class focuses on the math concepts and calculations that relate to real estate, including valuation, appreciation and depreciation, amortization, and the effects of the numbers on loan approvals and ultimate costs. The TILA/RESPA Rule that took effect October 3, 2015 represents a major change in mortgage-related disclosures, by streamlining and combining forms and giving loan applicants the means to make the final costs and value of a mortgage loan easier to understand. This two-hour class gives you the tools you need to help clients effectively navigate the forms and the rules set out in the nearly 1900 pages published by the CFPB, including a detailed review of the Loan Estimate and the Closing Disclosure. Fair Housing Laws have succeeded in extending the benefits of homeownership more evenly as well as fostering a more profitable real estate market by greatly expanding the pool of interested parties. This course addresses every aspect of the history, language, and application of Fair Housing Laws, including some developments involving the principle of "disparate impact." 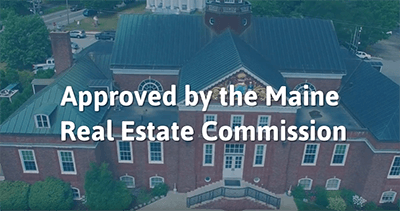 It also addresses other civil rights and consumer protection laws and Presidential Executive Orders, with a special focus on how each of these affect real estate professionals. The class will help you provide training in fair housing practices that is as up-to-date and comprehensive as possible. Class 7 of the 9 classes in this package covers Errors and Omissions (E&O) insurance. Even the most conscientious and careful real estate professional can still be subjected to an E&O claim. This class provides guidance on how you and your agency can mitigate exposure to an E&O claim by exploring the most common claims filed and the strategies that decrease the likelihood of claims. It also discusses the E&O coverage that may be of greatest use. Another area that can expose an agency to liability is the contract. The contracts that underpin all real estate transactions are rife with pitfalls and require an application of best practices in order to facilitate a successful and legally enforceable sale. This class provides a broad-ranging review of the history, key terms, and standard clauses and provisions that characterize all contracts, along with a review of the contracts specific to real estate - those that arise regularly along with some of the less-common but still important real estate contracts. The final class approaches property management through the fiscal, bookkeeping, and economic elements that represent one of the great challenges in the field. The class provides guidance on how to align expenditures with owner objectives and expectations while still satisfying tenant needs. The fiduciary responsibilities that are essential to your agency relationship with an owner are thoroughly explored, with an emphasis on practical ways to provide your clients with the best possible and most sound financial advice and stewardship of their property.